It takes knowledge, determination and motivation to be able to build a passive income stream from rental properties but what I often leave out is the mindset for rental property investing and how crucial it is for real estate success. In today’s post, Brian from Rental Mindset shares this exclusive post on his frame of mind and the kind of mindset needed to help you become successful with investing in real estate by purchasing rental properties. Check it out and let me know what you think. Brian is a real estate investor living in San Francisco who invests in rental properties thousands of miles away. He believes mindset is the key to getting started and pushing through when things don’t go as planned. He writes about how he earns a 29% annual return on his turnkey investments, achieves the right mindset, and more at RentalMindset.com. Let’s start with a question then. Would you spend 20 minutes shopping around for the lowest price vacuum cleaner to save $30? Of course. But that’s peanuts compared to your tax bill. I bet you pay tens of thousands of dollars every year in taxes without giving it a second thought. If you spend a little time getting these things right, you can retire 10 years earlier. Or have the cash flow for that long European vacation you have always dreamed about. Sound appealing now? It comes down to mindset: focus your efforts on the right things and you won’t have to sweat the small stuff. You’ll never have to hesitate again when Uber is surging at 1.2x – you’ll have thousands of dollars income coming in just by putting in some work up-front. Most people won’t ever find success investing in rental properties. Not because they can’t, but because their mindset is holding them back. Most chase information. They think if they can just learn how to do something, then they’ll be able to do it. Logically it makes sense. So they read about it online, maybe watch a couple of YouTube videos, then nothing. Or if they are really ambitious, they might read a book about it and go to a seminar. But still do nothing after. I believe mindset is the key to actually getting started with any goal. Your mindset is also what will get you through the tough times so you don’t give up. Investing in rental properties is no different. Even with perfect information – imagine someone handed you an exact how-to guide – you still have to take action. This is difficult because those around you aren’t doing it. The herd mentality is strong and pushing you towards funneling money into your 401k mutual funds. I’m more than happy to start with some compelling information though. Do You Underestimate the Returns of Rental Properties? Rental properties are often underestimated because they are difficult to analyze. 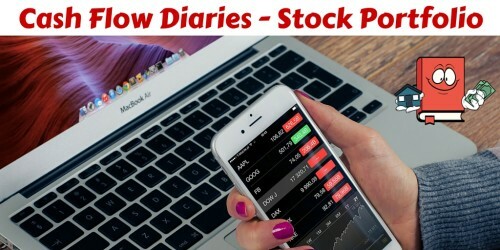 With a stock, you just have to ask – did it go up or down? Maybe it pays a tiny dividend too and you add that to your calculation. 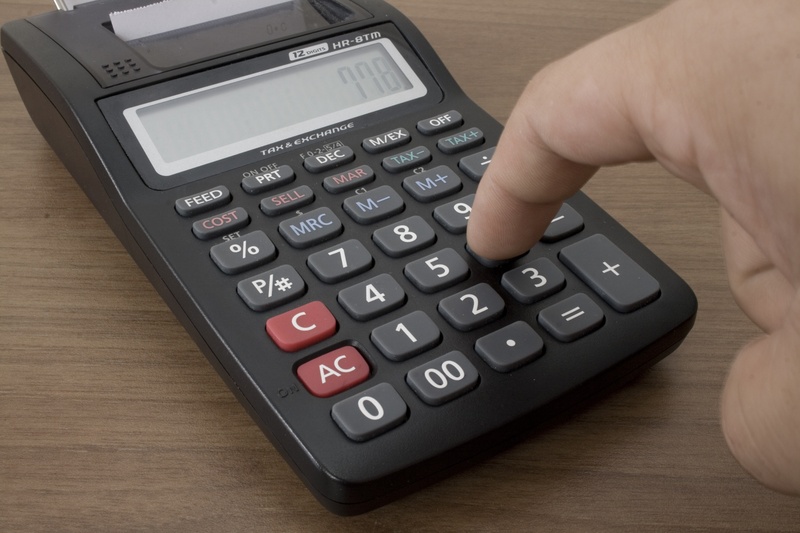 With a rental property there are 5 different components that contribute to your return: cash flow, appreciation, tax benefits, the tenant paying down the mortgage for you, and inflation chipping away at your mortgage. People coming from the world of stocks usually only think about the first two and decide it is too much effort. 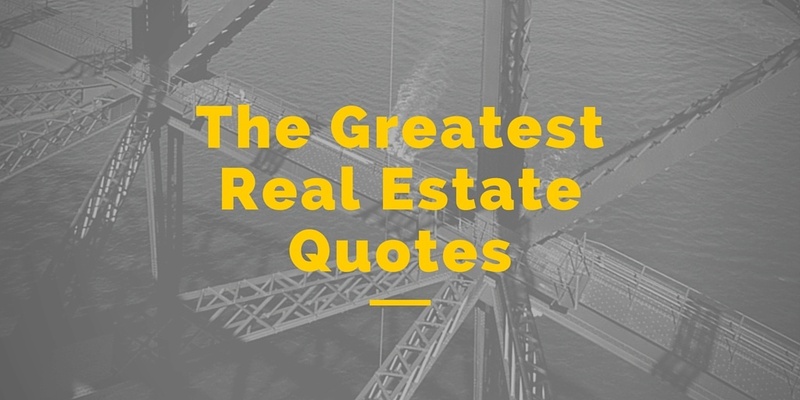 When you factor in the other three, rental property investing is the hands-down winner. Yet information alone isn’t enough. Leverage. What a scary word. Debt. Ahhh! This mindset is deeply ingrained. You need to snap out of this group-think to evaluate it yourself. The reason most debt is bad is because you have a depreciating asset (like a car), a horrible rate (like 20%+ for credit cards), and you have to come up with the money to make payments. Once you start to evaluate debt like this, you’ll see that with rental properties it isn’t so bad after all. You have a very reasonable 30 year loan with someone else making the payments for you! If you don’t chase after a bubble market, instead opting for steady mid-west and southern rentals, there isn’t much risk of the asset price dipping below what you owe either. Leverage is a powerful tool with conservative rental properties. The mortgage industry is a gift to the every day middle class investor – you just need to take advantage of it. But this is just a start, I write about many more mindset improvements on my website. For example, how should you think about cash flow? Check out my Hose Into the Pool Analogy. What is your advantage you have over huge hedge funds and other sophisticated investors? Your timeline and effort. I am slowly building up a portfolio of turnkey rental properties. Right now I own a single family home in Atlanta and one in Memphis. After four and a half years I have a 29% annual return. My preferred properties are roughly $100k in B to B+ neighborhoods. Lower quality neighborhoods with older properties can provide more cash flow, but might introduce more work for me. It’s my hunch that $60k properties in C+ neighborhoods will have everything from more tenant issues, higher tenant turnover, more repairs, and more difficulty selling the property when the time is right. Not to mention if I’m putting more money to work with each house purchase, I will need to do less transactions. As you can see, there are a lot of assumptions that I personally have about rental property investing. Maybe some are incorrect and can be optimized. However I took action and didn’t let this hold me back. I started with what I view as the easiest possible approach to own rental properties (REITS and pools are out because someone else is taking too much of the profit). I’m willing to say – that’s good enough for now. Perhaps I’ll take on more work and test some of my assumptions one day, but in the meantime, I have my money working for me and I’m learning a lot. My mindset is the key to taking action, hands on learning, and ultimately success in rental property investing. I’d love to hear in the comments – what is one thing holding you back from either getting started with rental properties or taking things to the next level? How does your mindset play into that? Previous Article← The Day Has Finally Come… I Got Married!! I’ll answer first! What is holding me back from purchasing more properties is cash for the down payments. There are several mindset components here, like that I need to come up with the cash rather than a partner. Or how I can systematize savings so it is easy. Or get the money from other assets like an IRA. Down payment money and just being able to find good returns is the only thing that slows me down. Once I have the down payment, its not easy finding the kind of properties I like to invest in so it definitely slows me down. I think the idea of having the right mindset is crucial to being successful and even just having the courage to proceed especially with your first one. I agree – that first one is tough! I hope to make it as easy as possible for people to just get started – once they see the possibilities first-hand, they can take it from there! The down payment is a big hurdle and for lenders in my area, to qualify for an investment property you will need 25% down. I live in NJ and buying an investment property here is not smart with high taxes. Once I have enough DP ill look into PA, NC, or TN as possible markets. Good luck and I own and live in a 2 family. So far too early to decide if its a worthwhile investment, but I’m building equity and not giving it to a landlord. Sometimes the local lenders don’t have as much experience with investment properties. I believe it is pretty standard to allow 20% down on the first 4 properties, so there is likely a national lender that could help. Looking out of state sounds like a good idea! I would look for a job hub, sometimes people make the mistake of looking as close as possible for the numbers to work, which ends up in an area people don’t want to live without as many local jobs. Yep, I have to do 25% dp on mine as well. It takes a while to save up but the more you get, the easier it gets as you can use the income from the rentals to help save. That is how I do it. Helps that I get paid a good salary at my day job too though of course. Sounding stupid and the down payment is my hurdle to jump. I don’t want to sound inexperience to lenders/banks. And I am well aware that you have to have money to be credible. Having team would also be helpful. Sounding stupid is a legit concern that a lot of people have. The good news is there are a lot of lenders out there, so you can have a lot of tries at it. The first time you’ll learn a lot, and will be able to apply that to the next phone call. Think through the ‘what’s the worst that can happen’ scenario and that might help you take action. The worst possibility is you never talk to that lender again! I wouldnt worry so much about sounding stupid at all. The good news is there are hundreds of banks so if you fall flat on one, you would have learned from your experiences and know how to handle the next one better. At the end of the day though, all the banks really want is cash reserves, good DTI and good credit. I LOVE this post! I agree with Brian– the thing holding us back is likely money for a down payment! I realize there are ways around this, but most of those ways freak me out (hard money loans, etc etc). We also have a frightening amount of student loan debt ($550k. for real- we blog about it). We want to get started on our own real estate investing portfolio but constantly debate whether it would be better to just focus on paying off debt first. (but then, we are missing out on cash flow which could help us pay off student loans.). What would you do?? Great question – the specifics for each individual person really matter. The pure mathematics I believe would say if you can get a compound return better than your say 6% student loan rate, you should pay the minimum on your loan and get the compound effect in an outside portfolio. Yet it’s not always about just pure math. Beyond the math, I would think what is a better psychological benefit – a $100k portfolio or $100k less on your loan balance? Specifically with rentals I like being conservative and haven’t explored any alternative ways to get into it, so I’m probably not the best person to answer this. I also think that you might have a hard time getting a conventional investment loan due to your debt to income ratio. But again, I’m not an expert here. Can definitely talk to some lenders to find out. Wow! That is a lot of student loan debt. So I have a true story I would like to share real quick regarding that. There is a couple that I know who are about 150k in debt from student loans, they bought a house to live in about 3 years ago here in my local market of Austin, TX. Just yesterday (coincidentally) they told me they are listing their house for sale as it has accumulated more then 100k in appreciation and are planning on using that money to pay off most of their student loan debt. In their scenario, it worked out and part of it was luck with the appreciation gains but if they did not buy that real estate, they would not be able to pay off such a huge amount. If I were you, I would start investing in real estate, at least buy one investment property and see what happens. But it is a very tough decision to make. I wish you the best! The biggest thing holding us back is that the houses we can afford need work put in them-which is fine, we don’t mind building sweat equity, but then it will take that much longer to start to get a positive cash flow. The houses that need less work are priced high enough that the rental income also won’t provide great cash flow until the mortgage is paid off. So right now we’re just saving as much as we can and keeping an eye on what comes on the market so we’re ready when the right house at the right price point appears. True, going the fix it yourself route does require more work. Usually the rehab is 1-2 months though, so in the grand scheme of things, not too far off before you start collecting rents. CFD and I both purchase turnkey, so we go for houses that need no work and come with the higher price tag (basically paying someone to do the rehab for us with the purchase price). The rental income isn’t anything crazy (5-10% of the initial investment a year), but it is a start. As time goes on and we slowly raise rents, it will become more significant well before the mortgage is paid off. I think you are on the right track by putting in sweat equity because that sounds like that is the best scenario for your market. It is more of a pain to have to deal with the rehab and delay the cash flow but its a necessary step to take given your situation. As you can tell I chose to go out of state so that I could cash flow right away and not have to worry about doing all the work necessary. Plus I have been able to find really good deals out of state which I am extremely happy about. I think the fact that you are just saving and saving and waiting for the right opportunity is great. Awesome stuff here mate! Completely agree it’s our mindsets that generally determine a large amount of our results, which said another way, it’s not about what’s happens to you, it’s about how you react to what happens to you that matters :)! Thanks for stopping by! Everyone struggles with focus and discipline – even those that make it look easy. I remind myself WHY a lot, which helps me not get started on new projects that I won’t follow through with. They have to be more compelling than the WHY of my current goals. You make some very valid points here. 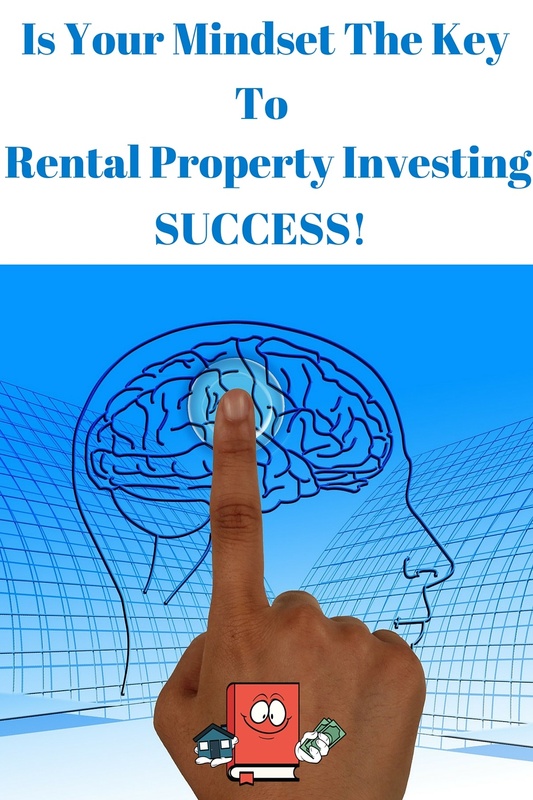 You definitely need to have the right mindset in order to succeed in renting property. I really like that you address leverage here. It certainly is a frightening thought, but understanding that it’s just a part of the process is key. Nicely said! Thanks for sharing this info! Understanding leverage is a huge part of it. Definitely an area where people have a certain mindset coming in and need to work to “unlearn” what they think they know. Glad you enjoyed the post. I am all about leverage and will continue taking advantage of using it until I cant. Yes, I totally agreed with you! Mindset is the key to getting started with any goal. Thanks for sharing such interesting article. I agree with you and Jeremy! Mindset is a huge factor in getting started with any goals you have. Awesome article. 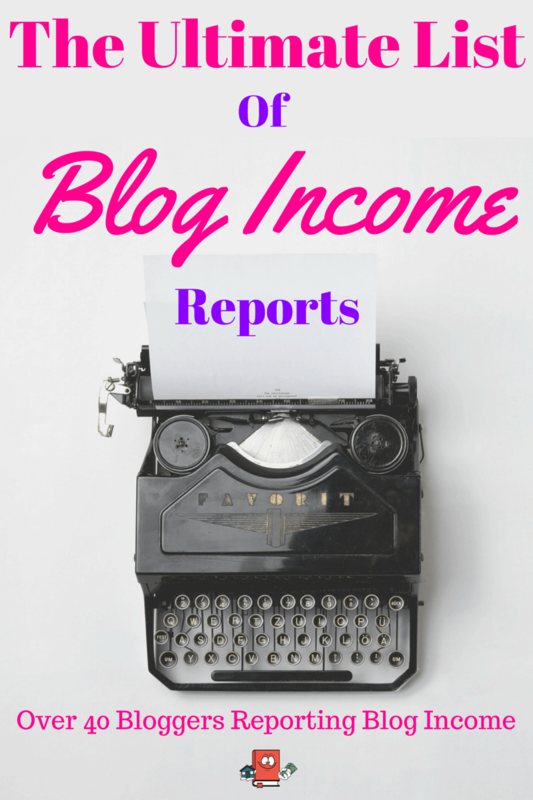 Wow, what an awesome blog! Thanks for putting yourself out there! I just binge read all your turnkey posts. Very good stuff. I was wondering if you would be willing to share your turnkey provider in KC. 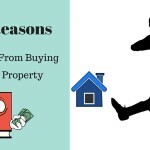 While there is a whole lot to give consideration to while you start the property search, a registered real estate expert may be a very important resource in aiding you make educated decisions along the way. I really like your post! It is quite helping and useful for everybody. I would like to sum up more!! 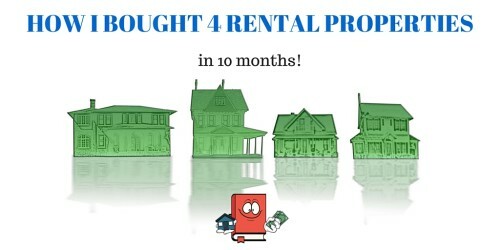 Before you buy your first rental property, to put your business entity together along with a solid, business plan. Your business plan should cover in detail, every step in the purchase of a property, from the marketing strategies to find the right tenants, lease option and rental term agreements and continue on through the sale of the property. An agent who understands rental property investing will also be able to research good deals and the right location. If you are a long distance investor, you’ll want an extra set of eyes on the property and in a safe and established neighborhood. Thanks for being sharing this useful post!! keep share more! Hi Ronald! Those tips are perfect and a great addition to the article. Thanks so much! It would be hard to fail if you follow those steps. Thanks for the kind words and adding your thoughts! Hey guys, this is an awesome article! So many points to consider, I think when building a portfolio you need to first sit down and work out your plan, will you be investing for short term, medium term or long term? Then how much risk you want to take on because ultimately if you are wanting to invest long term, and take too many risks it can all be over really quickly!!! Awesome article anyway and I’ve jumped on your newsletter. Thanks again!